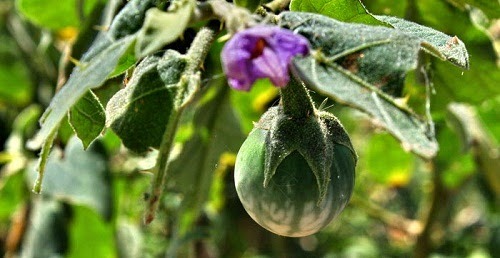 Bitter Aubergine (Cà Đắng) is one kind of wild aubergine that lives in the jungle or milpa of Tây Nguyên residents. Bitter aubergine is bigger and longer than wild aubergine. 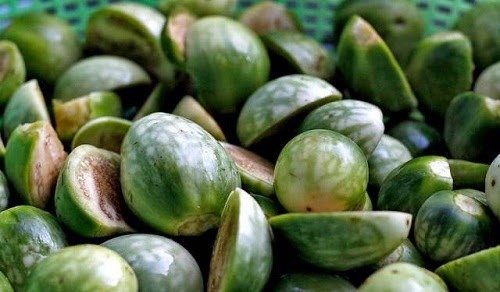 It is eaten like as a snack and it is loved by Tây Nguyên’s people. So, this Best Vietnamese Food is plant around in their garden and milpa to harvest and sell to the market. When the bitter aubergine turn to yellow, you can mill them and then mix it with dried fish. This Best Vietnamese Food is really weird when eating. You will taste the bitter flavor firstly and then the sweet flavor comes after. However, the traditional way to cook this food is boiling it with dried fish, fresh shrimp, snails, frog, pork, goat, chicken or beef. Someone has a strange cooking way such as mill the dried fish and then mix it with garlic and oil. Next, they dry them again before adding before adding bitter aubergine. 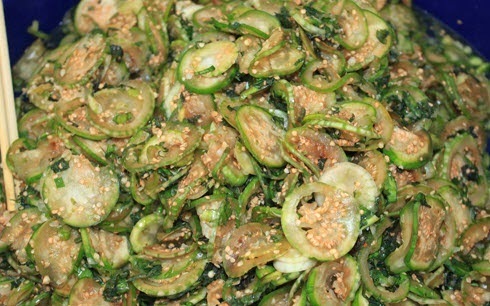 If you are invited to Tây Nguyên’ s home, they probably invite bitter aubergine to enjoy with canned meat, canned fish or pork’s skin. 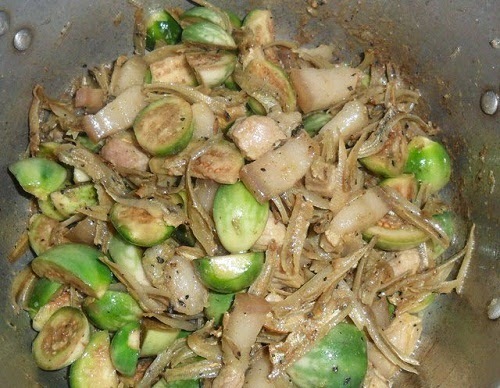 By using this way, the visitors can easy enjoy this Best Vietnamese Food due to the food above can reduce the bitter flavor of aubergine. At the first time of eating it, you may feel discomfort. However, if you keep eating it, the sweet flavor will come and you will be addicted by it. It will be really fantastic and delicious if you bite one bitter aubergine with one piece dried fish. Moreover, you can slice it in small piece and dried it for a long time. Come to Tây Nguyên and did not enjoy this Best Vietnamese Food is one missing part of your trip. So enjoy it as soon as you come there. Hope this post can help enough information about this place where you are planning to visit. Good Luck to your trip and Happy Time with your family and friends in my beautiful country.